‘WHEN YOU GIVE, YOU GET’…..
As part of our Corporate Employee Involvement Program, we together with the Corporates are involved in participatory ‘Good Citizenship’. These are a few areas of Voluntary Citizenship wherein we together with you can make a difference. Timings :Tuesday, Thursday & Saturday for two hours each. Around 75% of the women in Rafiq Nagar II are illiterate or semi-illiterate (can only read Urdu) and do not even know to sign. 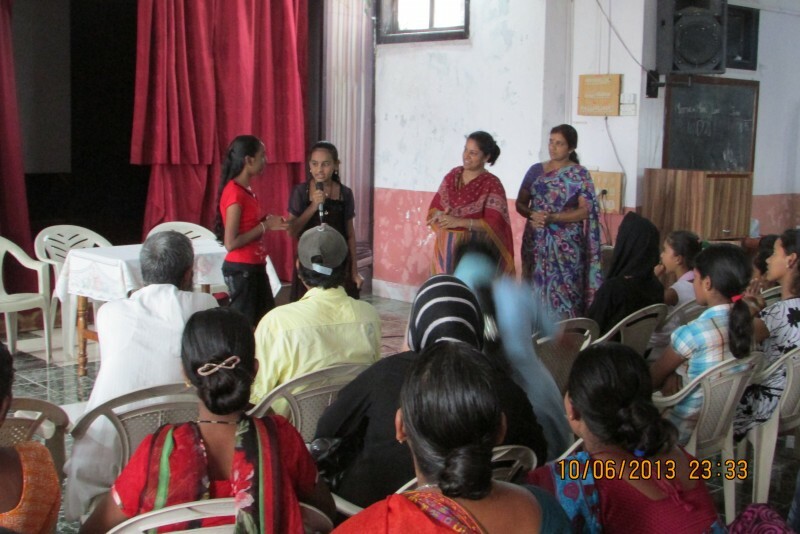 GyanSaathi aims to teach these parents to read and write basic Hindi. &rAarr; Teach Adults to read and write in Hindi and provide non-formal education. &rAarr; Encourage Women in the community the importance of education. &rAarr; Volunteers will have to undergo a two hours training to conduct this program. Timings : Flexible Days – to be decided. Around 120 children of GyanSaathi (which includes students of BMC students, Open School students, and complete Dropouts) do not know to read, write or speak basic English. &rAarr; Teach the children to speak read and write basic English. &rAarr; Assist BMC children with their English syllabus. &rAarr; Read out stories in English and explain to the children. &rAarr; Inculcate an understanding of the language. Timings : One day a week. GyanSaathi children are very keen to learn computers and have the ability to do so. The Computer institutes offering minimal computer education in their vicinity is not affordable to the children. &rAarr; Teach children the basics of Computers. &rAarr; Teach them Word and Excel and if possible, Paintbrush. Timings : Once a week. GyanSaathi children are very talented in drawing, origami and craft but have minimal exposure to the world of art. Even where dance and music are concerned, the children are versatile dancers, picking up the nuances from the visuals they get an opportunity to see. &rAarr; Should be able to hone their creative skills and nurture their talents. &rAarr; Teach them different methods of drawing, painting, craftwork, needlework. &rAarr; Introduce to them the works of art and hold sessions on works of art. &rAarr; Hold dance class or teach them a particular dance or music. In addition, as a Volunteer, you could register with us a Volunteer and offer your talents, hobbies, service to the GyanSaathi children. We believe every interaction is a learning, your visit to our centre would definitely enhance our children as they will see and hear from you a different world to which they have had no exposure. Come and Enrich us and get Enriched.